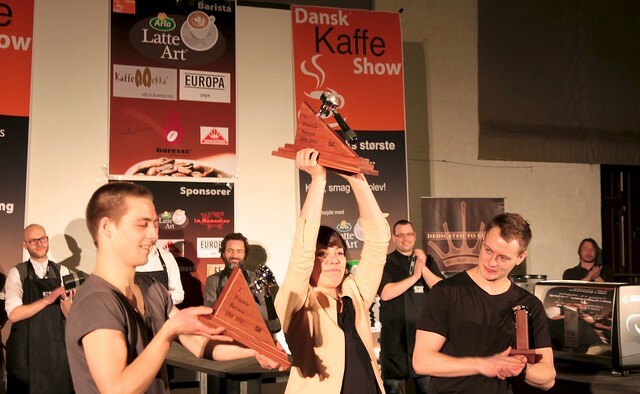 The Coffee Collective Blog: 2011 Danish Barista Champion: AnneStine! 2011 Danish Barista Champion: AnneStine! 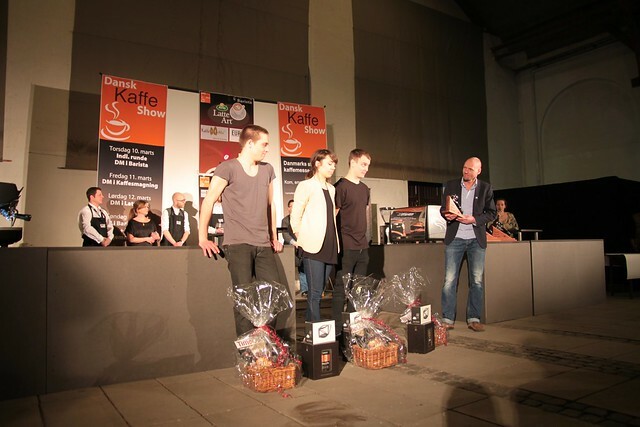 This weekend the 2011 Danish Barista Championship took place at Dansk Kaffe Show in Århus. They were all using different coffees from The Coffee Collective. AnneStine used the Cypresal microlot from Finca Vista Hermosa, that we featured a few months ago. Christian used a special roast of our Kenyan Kieni. And Mathias used our Espresso Blend and a Kenyan from Estate for his signature drink. The finals this year looked really solid. It's great to see that the baristas have prepared themselves so well and are so focused on their presentation and the taste of the drinks they're serving. After a gruesome wait the results were revealed.